... to provide you with comfort and sophistication on your special day and make it the most memorable of occasions. 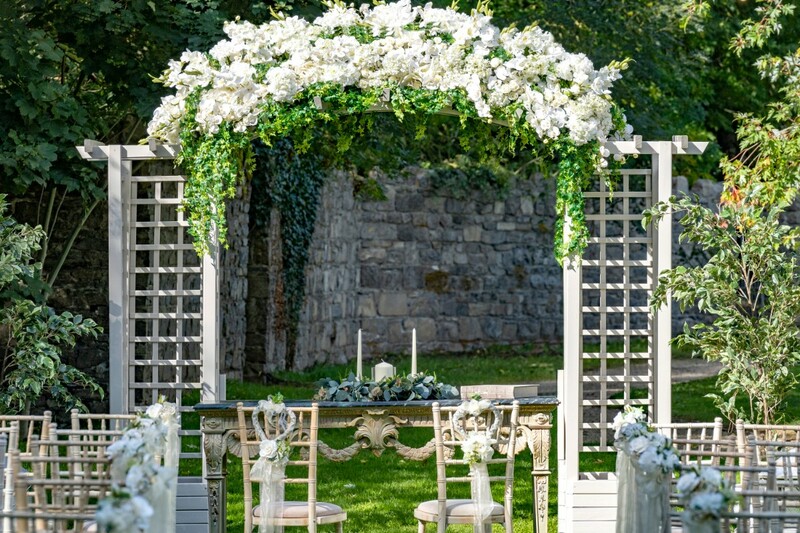 Our wedding co-ordinator and banqueting team will be on hand, from the moment you make your initial enquiry until the day of your wedding, to help you plan every little detail of your special day. Your wedding deserves the perfect setting, one that offers a truly unrivalled mix of location, service and facilities. 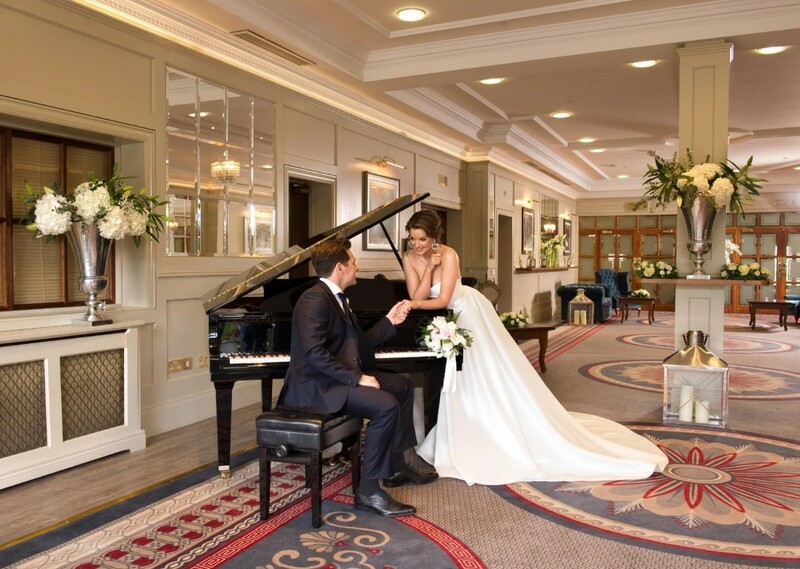 Set in 120 acres of private grounds with wooded parkland and restored walled gardens, our hotel provides you with a sense of privacy and intimacy, the perfect backdrop to capture the precious memories of your wedding day. 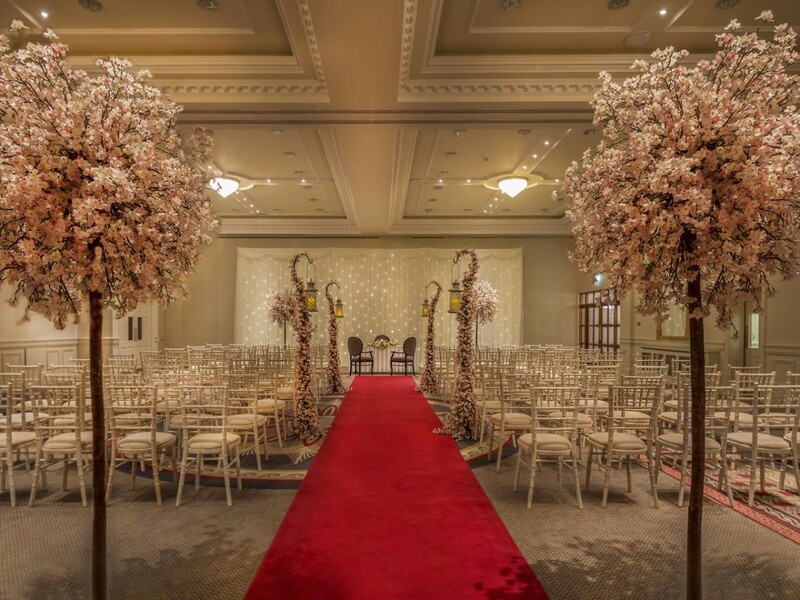 We are delighted to announce that we also hold civil ceremonies. 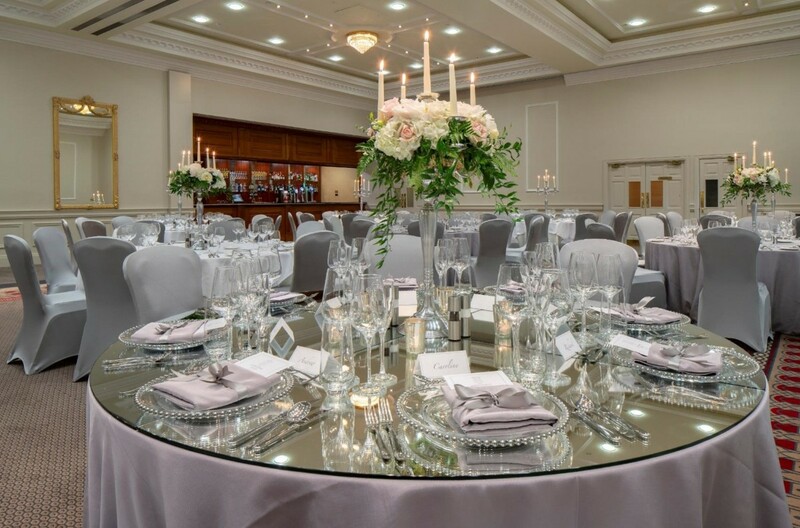 The elegantly decorated Breffni O'Rorke Ballroom is filled with natural light and perfect for entertaining your guests. 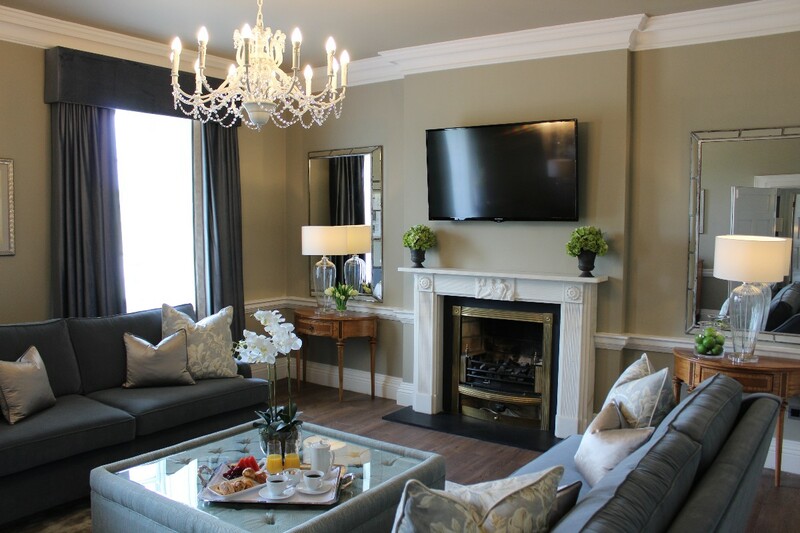 The suite can be used as one large room or can be divided into two self contained rooms, each with it's own private bar and direct access to bathrooms. We can hold up to 350 guests in our Ballroom for a Wedding Banquet. You can choose from two arrival areas - the character of the Georgian Atrium Lounge or the privacy of the Garden Foyer. 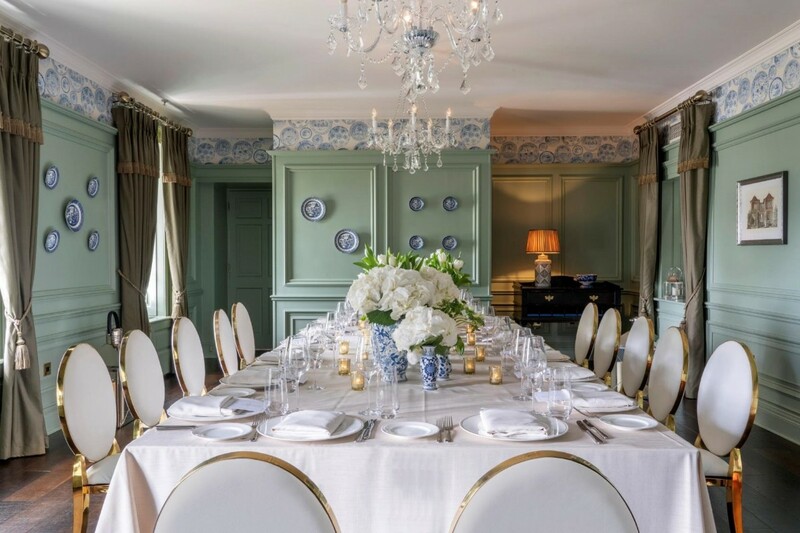 Our Johnstown Suite in the beautiful Georgian surroundings of the original house, is perfect for smaller wedding parties. 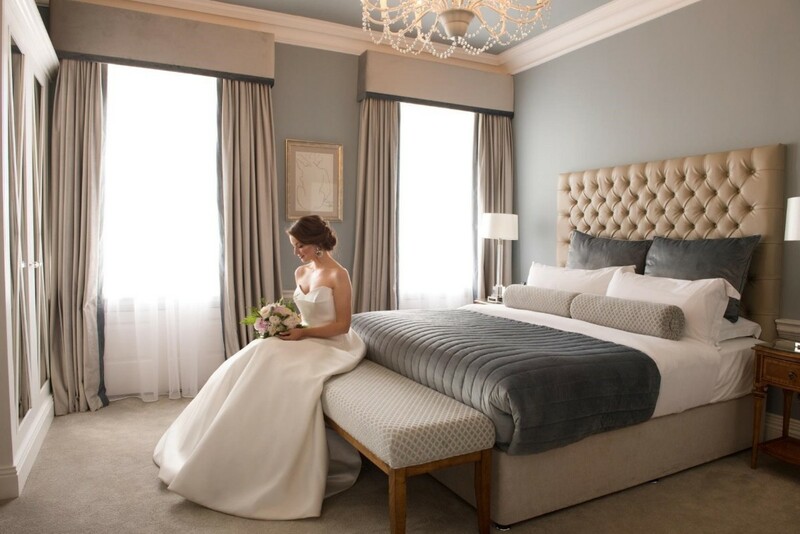 Or choose our Ennis or Colgan Suites, located beside the Garden Foyer, for wedding parties of up to 50 guests. We commit our attention to you and your guests by only holding one wedding per day in the hotel. Our experienced therapists will be delighted to advise you on your pre-wedding treatments. 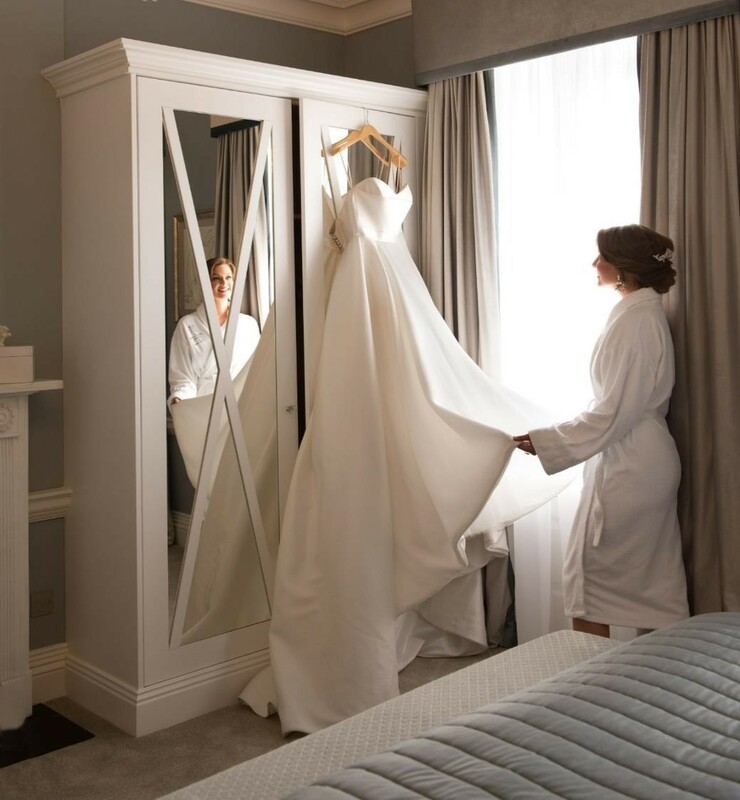 Choose from our bridal packages or tailor-make your own to suit. Our on-site hair salon, 7th Heaven is also available to complete your wedding preparation. Housing 127 luxurious bedrooms and 36 two- bedroom duplex residences, the hotel is the perfect venue for your Wedding Reception. 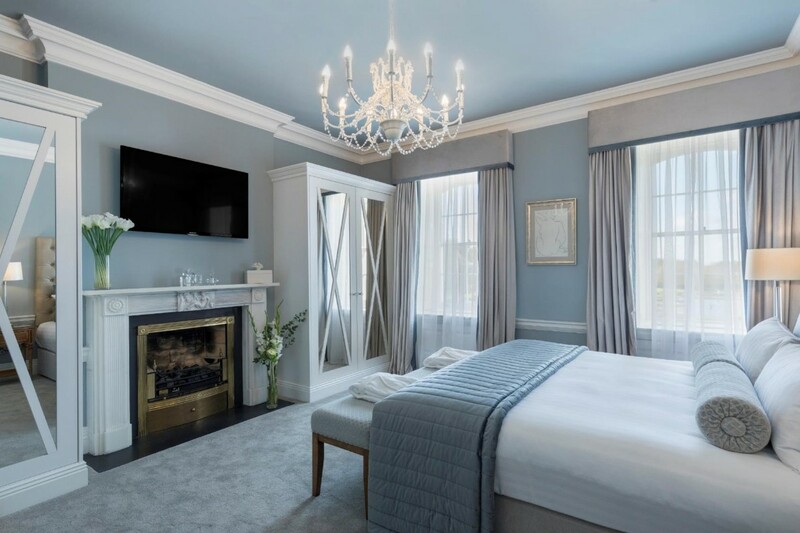 The bedrooms at The Johnstown Estate boasts the world renowned 'Revive' bedding to ensure you and your guests leave relaxed and 'revived' after your stay with us. The hotel features a state of the art Leisure Club with 20m swimming pool, sauna, jacuzzi, steam- room and a Canadian outdoor hot tub, all of which can be used by you and your guests with our compliments. If you choose to extend your stay, we offer a variety of dining options and there is something to suit all tastes; enjoy an informal meal in the Coach House Bar, full of old world charm or fine dining in the renowned Pavilion Restaurant. A destination Elemis Spa complements your stay. Choose from an extensive treatment menu with full use of the Thermal Suite, Spa Lounge and Relaxation Room. Also catering for Spa Breaks and Hen weekends. Beautiful hotel delicious food we both have no complaints from our wedding day it was perfect. We had our wedding in the beautiful Johnstown Estate on the 28th of December 2018 and could not have faulted it whatsoever. Everything was perfect from start to finish, food was amazing, staff could not have been more helpful and Tamara was always on hand from when we booked to helping everything run smoothly on the day. We would definitely recommend this hotel to any future couples who are trying to decide on their dream venue. The Johnstown Estate is an exceptional wedding venue, and I would absolutely recommend it to other brides. Everyone on the wedding coordination team was a pleasure to work with, and I truly felt that the staff went above and beyond to make sure all of our requests were fulfilled. The prices are extremely reasonable, the food was incredible, and every detail was exactly as we wanted. In addition, the reception space is gorgeous and the recent upgrades to the bedrooms make for a wonderful experience for the couple as well as guests. Thanks again for a terrific weekend! 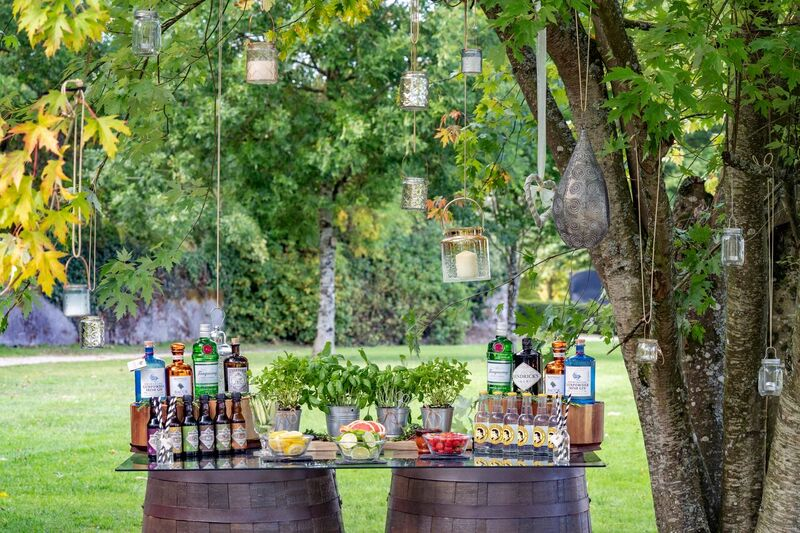 Amazing wedding venue with added in little surprises by the staff to make the day even more special. Staff were so helpful and really helped make the day. Gorgeous location and really beautiful hotel. The food was delicious and tons of wine for everyone. The guests loved it and wanted for nothing the whole night. Amazing venue. Tamara was a pleasure to deal with. Our guests are still talking about the food it was a magical day!! All round fantastic service. Trying to to think of a negative or constructive comment but dont have any. Tamara and the team looked after everything. Tarmara in Johnstown estate was brilliant to deal with. All hotel staff were amazing on the day and day after. Bridal suite is fabulous make sure to take a look. Food was amazing from drinks reception,Meal and evening food. Our guest raved about the food and hotel. Couldn’t recommend this hotel enough if you want a stree free day with happy well feed guests go with Johnstown you won’t be disappointed. Excellent venue, food, accommodation, service and staff were all amazing. Would highly recommend. Tamara was brilliant and a pleasure to work with. We had the best experience and a wonderful day. Our family and guests really enjoyed their day at the Johnstown Estate. Tamara and her team made our wedding day the most memorable day! Our family and friends had the highest praise for the hotel and their staff. From the beautiful surroundings outside to the luscious decor inside to the delicious canapés, they were highly impressed. We were not surprised because from the very beginning Tamara and Amy had made us so welcome. They were very accommodating; nothing was too big to ask. The reception dinner was delicious. 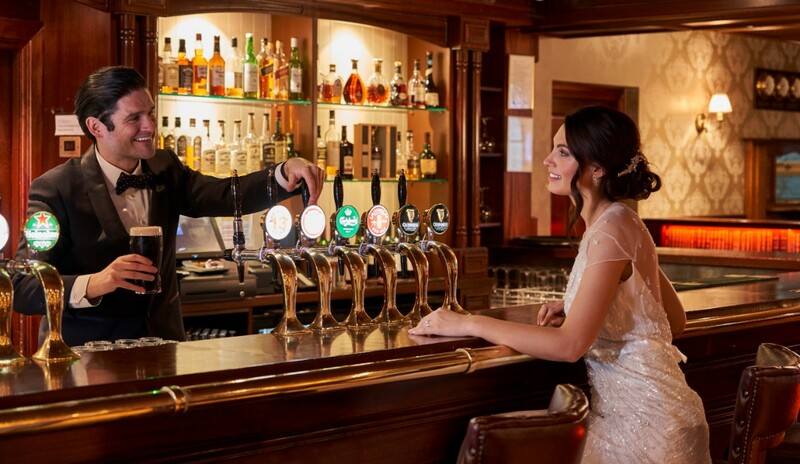 The serving staff for our wedding were like every other member of serving staff in the bar and restaurant who we have met over the last year; they were polite and friendly, professional yet very natural. The bar staff were kept busy but so friendly and hardworking! The background staff ensured everything ran smoothly and guided us so well for the whole day and night. The receptionist was super friendly and warm. The bridal suite was the icing on top of the icing on the cake!! It was so beautifully decorated and luxurious! It was such an experience to stay there. We had finger food the next night with our bridal party, friends and family which was more than we expected again! The team had taken some of our wedding props and decorated the bar upstairs which was so sweet! We could not praise you highly enough. Your team made our day so special for us and we greatly appreciate it. Thank you. I could not recommend Johnstown Estate high enough. We had an absolutely amazing day. Aimee was beyond helpful, the food was fantastic and the venue is top notch. 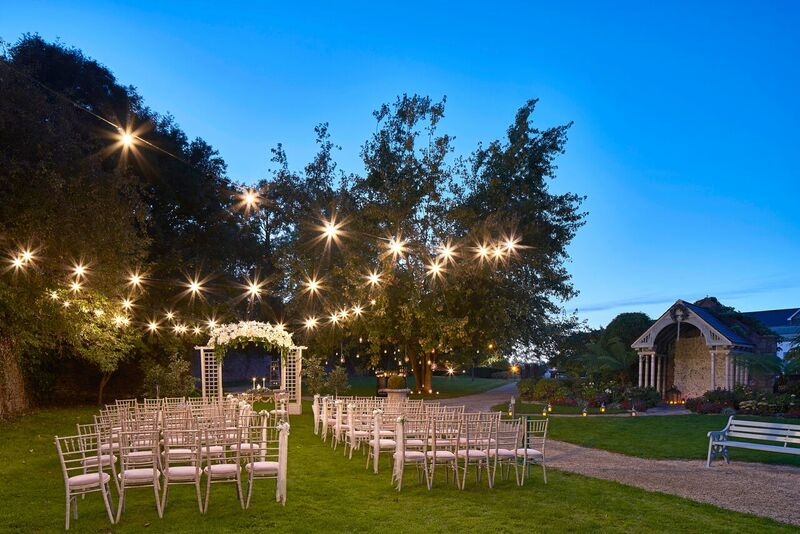 We would highly recommend this venue to other couples getting married. 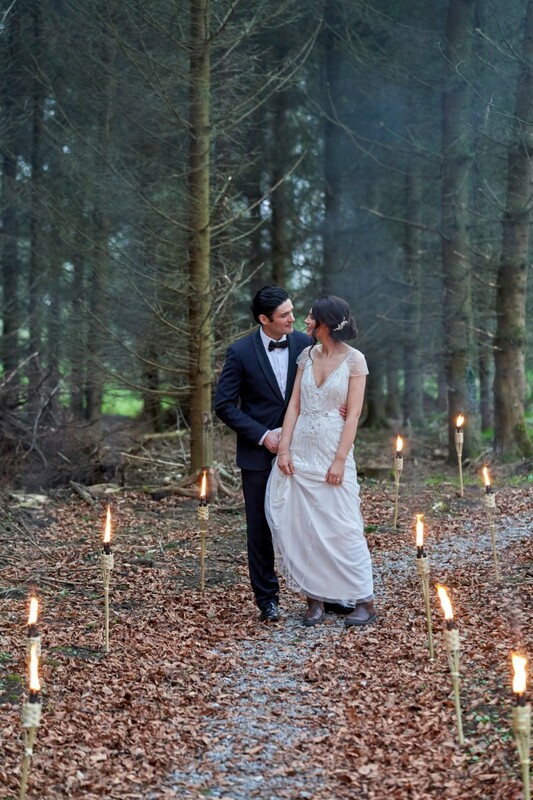 We recently had our wedding in Johnstown House and I cannot recommend or praise it enough. Everything from the rooms, food, reception, grounds, the ballroom – the absolutely beautiful ballroom….was just fantastic. All of our guests spoke of how much they enjoyed the day and how impressed they were with the hotel. All the suppliers we used also had great things to say about working with the team there based on previous experiences. The wedding co-ordinator Jenny is wonderful – extremely professional and great to deal with at all times - we always felt extremely confident that the day would go well with Jenny looking after things. It is difficult to sum up how much we enjoyed the day! I would highly recommend this hotel for a wedding and can’t thank you all in Johnstown enough for making the day so memorable for us. We had our wedding in Johnstown House Hotel this year. I would highly recommend this venue to any couple thinking of their wedding day. From start to finish everything was fabulous. The staff, the food, the room everything was perfect. I cannot fault it in any way. You only have to visit Johnstown House to see for yourself. 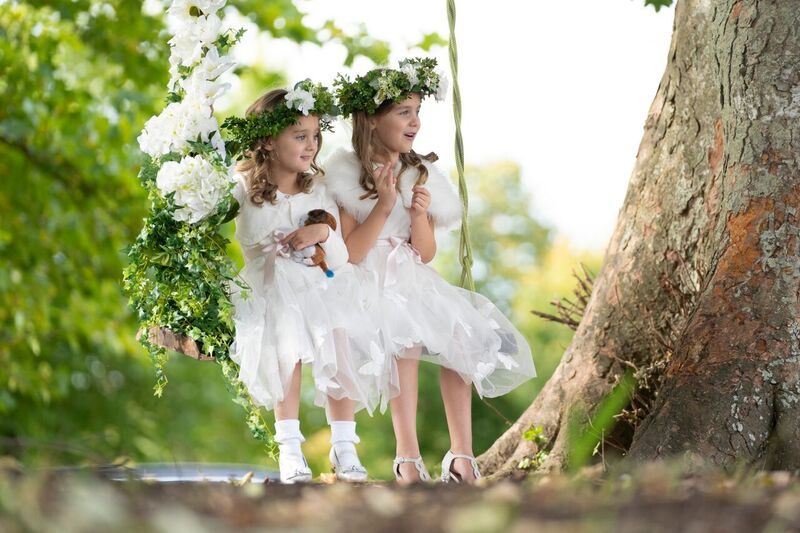 We had an amazing day at Johnstown House Hotel! From the reception to the dinner and dancing afterwards everything ran brilliantly. Jenny is amazing! All our guests were delighted with the service of the staff at the hotel. We did not need to worry about anything on the day - we just enjoyed it. Jenny, The wedding co ordinator and Gavin the hotel manager were terrific in the lead up to our big day. Nothing was too much trouble. Jenny gave great advice on what would work and what wouldn't. The hotel staff took all the hassle out of the lead up. On the day everything from the room layout, the staff, the food, the entire flow of the day was perfect. The accommodation for our guests was very affordable. I would recommend 100%. Excellent venue. We were so glad we chose Johnstown house. We had guests travelling from all over Ireland and the location was easy to get to with lots of accommodation for everyone at a very good rate. The staff couldn't have been more helpful throughout the entire process. If something wouldn't work they would tell us but they went out of their way to fulfill all of our requests. The food was delicious. The bridal suite was stunning. Perfect wedding venue. 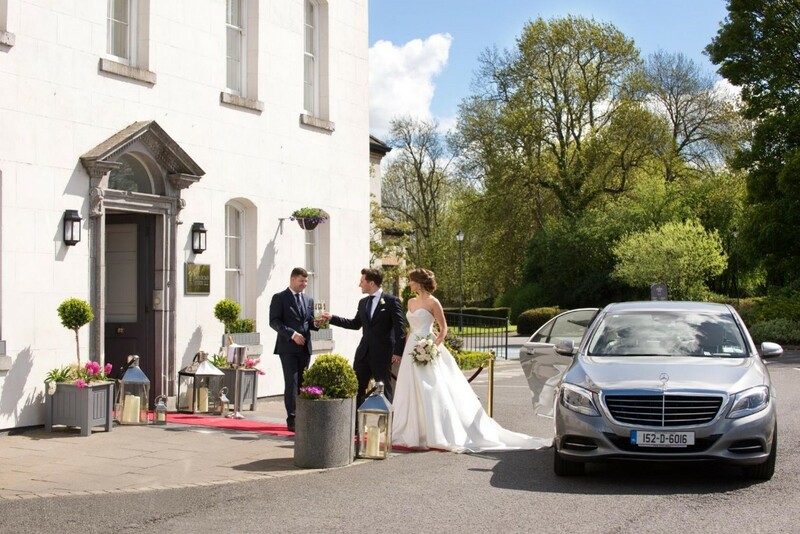 We had our wedding in Johnstown House Hotel end of May this year. We had an absolutely amazing day from the moment go. On arrival to Johnstown House we were treated like royalty. Sinead and John couldn't do enough for us. Everything ran so smoothly. They also added little touches that were a surprise to even us, which was lovely. The food was amazing, from canapes, to dinner, to evening food. I cannot fault them for the day we had, thank you. The Johnstown Estate, Enfield, Co.Meath.